According to an unverified report which was claimed by Syrian state television, world’s most wanted terrorist and the leader of ISIS, Abu Bakr Al-Baghdadi has been killed in an airstrike. Till now, ISIS’ s official media wing has also not confirmed the news. Reports suggest that the terrorist was killed by white phosphorus bombing campaigns lead by Coalition forces in Raqqa. On Saturday, According to the news from Syrian activists, Raqqa24, which is reported by Daily Mail, it did report an airstrike in Raqqa which killed at least 7 people. However, there was no mention made of Abu Bakr Al-Baghdadi’s death. This is not the first time that Abu Bakr Al-Baghdadi has been reported dead. On 14 June 2016, many media outlets claimed that al-Baghdadi had been killed in a US airstrike. 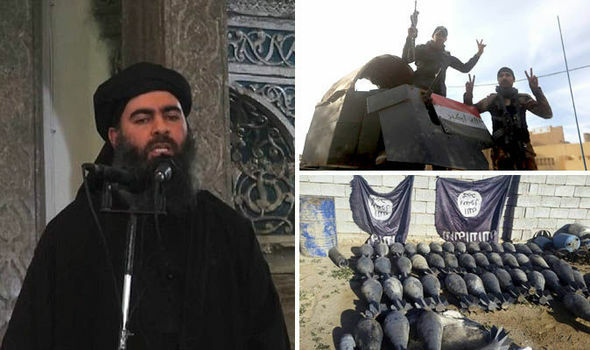 A media report on 3 October 2016 claimed that al-Baghdadi and 3 senior ISIL leaders were poisoned by an assassin but still alive. He is the leader of the terrorist organization, Islamic State of Iraq and the Levant (ISIL). He is responsible for the 28 August 2011 suicide bombing at the Umm al-Qura Mosque in Baghdad. As leader of ISIS, he is involved in numerous attacks in Iraq and is responsible for the deaths of thousands of civilians in the Middle East, including the brutal murder of numerous civilian hostages from Japan, the United Kingdom, and the United States.